Thank you for your interest in donating to Charis Bible College! As a non-profit entity, Charis Bible College respects every dollar received from its supporters and strives to steward its resources faithfully. To ensure you receive a tax-deductible receipt for your donation, we will redirect you to the donation page of our founding ministry, Andrew Wommack Ministries. Simply enter the amount you wish to donate in the “Charis Bible College” field, and the funds will be designated accordingly. 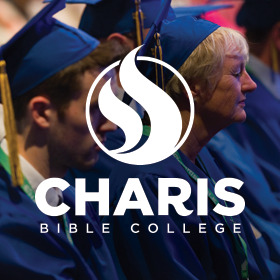 Charis Bible College focuses exclusively on the Bible as our main textbook. This means that when you donate to Charis, you are supporting current and future students to learn about the Bible and their relationship with God more than ever before! Thank you for investing in Charis Bible College as we equip the saints for the work of the ministry.